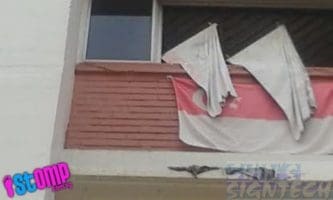 Ever seen some pale orange faded Singapore Flags hanging around our neighborhood ? These Flags are done by Silk screen printing, which is an traditional hand work technique. If under long term outdoor weather, especially under UV sunlight, the colour will fade. Because screen printing ink merely laid on top the fabric whereas dye sublimation printing allows inks to permeate and bond with the fibers of the material when the dyes turn into gases under 200 degree temperature. 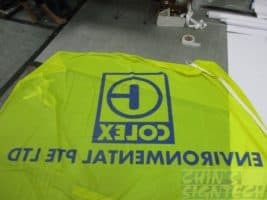 So it can be washed and iron without risk of damaging the image’s quality. 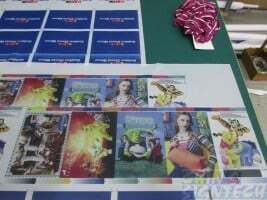 A screen printed image may crack in time, unlike a dye sublimated graphic print. 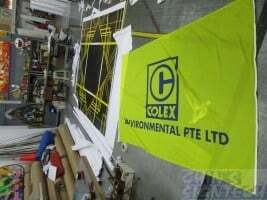 You also get brighter more vivid colour from dye sublimation printed flags and fabric banners. 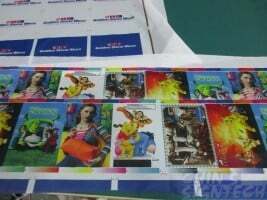 To truly saturate the material with ink, dye sublimation is the best printing option on fabric to print long lasting images. Important information about choosing a custom flag. One of the most important reasons for purchasing a flag is the advertising “effect” that wind motion has on the flag. A subtle “wave motion” blowing through your banner flag is both aesthetically appealing and attracts attention. 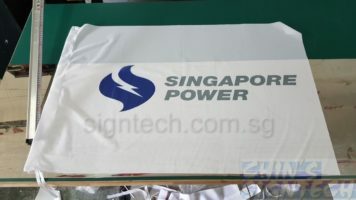 Our flags are printed on 75 or 110 GSM knitted polyester fabric designed specifically for flags. This banner fabric has a nice “wave motion” in the wind. The knitted polyester was designed to last longer than nylon flags. 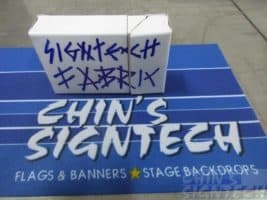 This fabric banner cannot tear or shred like many other fabrics do in the wind. Wrinkles are not noticeable at normal viewing distances. Creases from folding can be ironed out if desired.